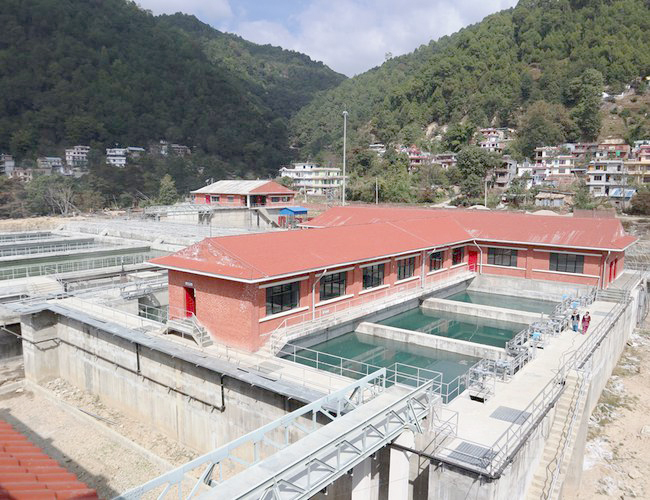 Completion of the Melamchi Drinking Water Project in the next six months has become uncertain after the officials of the Italian Contract Company tried to flee Nepal without completing the project. It was reported that they were flying to Italy after their company was in the verge of going bankrupt, but their attempt failed after police arrested them before they boarded the plane. Some eight officials of the Italy-based Cooperativa Muratori & Cementisti di Ravenna (CMC) company that owned the contract of the Melamchi Drinking Water Project were arrested while they were preparing to leave Nepal by leaving works at the national pride project incomplete. According to sources at the Ministry of Water Supply, some of the officials of CMC were apprehended by the police deployed from the Metropolitan Police Circle, Durbar Marga, on Sunday night. The Metropolitan Police Circle also confirmed that police detained eight officials of the CMC from Thamel area on Sunday night as per the request of the Ministry. The CMC officials had been demanding compensation under different headings from the government for prolonging the completion date of the project. Now when the contractor officials themselves have tried to leave Nepal, completion of the much-talked-about project in the stipulated time has become almost impossible. Next Missing 33 kg gold seized in Kolakta!